1. To unlock the 5s with a finger, you are first required to activate it by way of pressing the home button or power button. Once active, you touch the round home button and it scans your fingerprint. Resting a valid finger on the reader while the iPhone is asleep does nothing. This may not seem like much, but it still constitutes friction. Other platforms have found ways to create near zero friction access . 2. A password is still required to use Touch ID. While using your finger is great, if someone were to see you typing in that password, it can always be used, fingerprint or not. There is no way that I can see to make the login process fingerprint only. 3. While showing Touch ID to a few people, it wasn’t apparent to them if they should keep pressing the home button or just touch it. Every one of them accidentally invoked Siri at least once while trying to scan a print . 4. The process of swiping into a notification’s context (and application) does not appear to work completely with Touch ID. If you want to swipe directly into a notification, you’ll have to swipe, see the password screen and use your print at that point. Not exactly intuitive. 6. 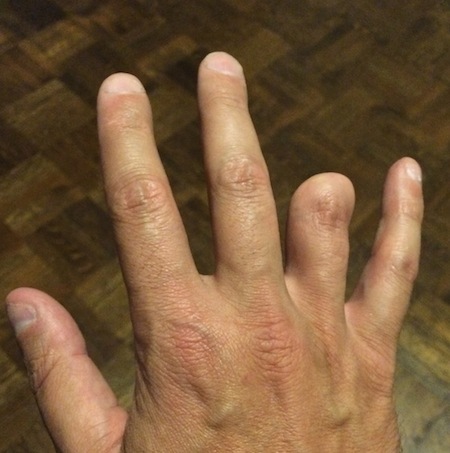 There is some good new for those with “stubbies”, or amputated fingers. The Touch ID sensor works well at picking up my half finger from every angle. I was able to train my iPhone easily and use my half-finger to dazzle people on occasion. I had me thinking, if I rarely touch anything with this non-finger, it may be more secure because there are few physical locations from which to lift the print. It also appears the fingerprint could do more. Why not use the reader to scan your print while unlocked to get you back to the home screen ? Why not have the Touch ID reader double as a mouse controller ? The fingerprint reader seems a little one-note right now, though I would expect uses to expand as the market starts gaining access. The idea that Touch ID is simply a matter of convenience, and that your print is probably a better username are both interesting ones. 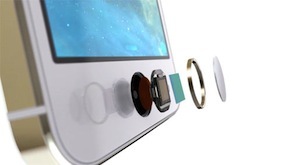 I don’t think it matters how secure Touch ID is if reduced friction is the trade-off. As it is now, Apple appears to have chosen a nice balance between convenience and security. 1. The Blackberry z10 (without a password set) lets you simply swipe the screen up from bottom to activate and unlock the device. 2. Naturally, you can disable Siri from the lockscreen, but that behaviour is on by default. 3. Saving home button clicks is a big thing. That button is so abused, it wears out. 4. Make it an accessibility option.